As the weeks are winding down until Detriot Champs last minute shirt trades are occurung. If anyone has any last mi trades they want to make with anyone going to Detriot or myself this is the channel to post in. 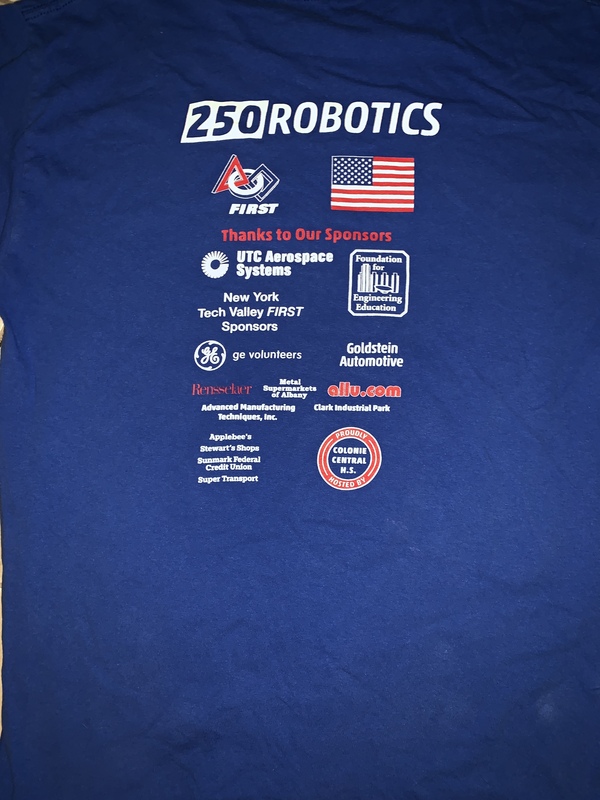 I’m Ethan from 2877, and I’m have team shirts in almost any size to trade with. 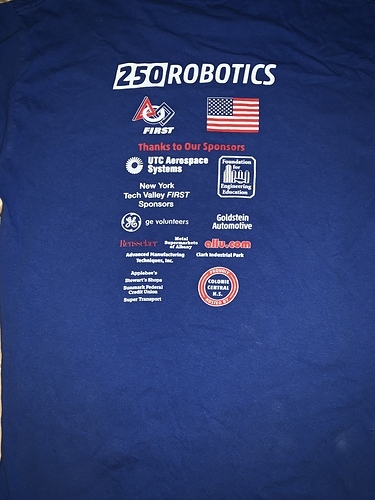 So,would you trade for my last FLL Ohio shirt? 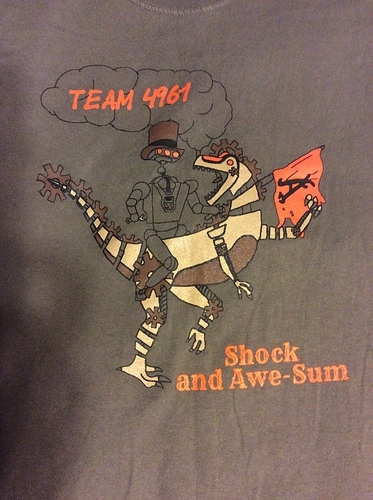 If anyone has a small team 987 or 33 shirt that they would be willing to trade for a team 11 shirt, that would be great! 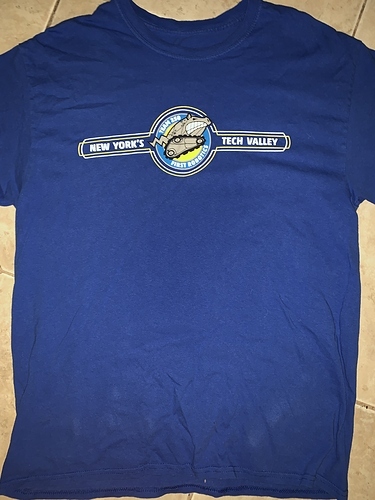 There’s a season long shirt trading thread here, in case anyone hadn’t seen it. There’s a lot of people proposing trades there at Detroit CMP (including mine). 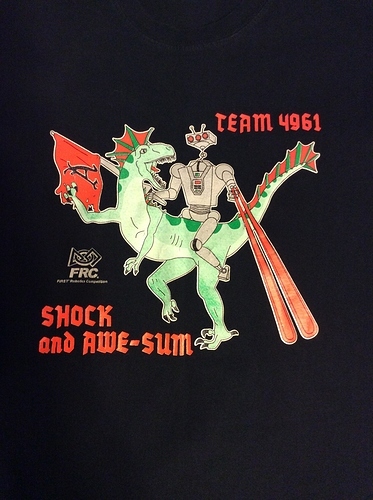 I have several XL FRC Team 1501 t-shirts to trade. I also have several shirts that I have duplicates of. I will trade for any good looking (designs and graphics) from any team. Or any other team, I’ll reward them with a M 217 shirt or even a M 2851 shirt if you like sleeping giants lol. 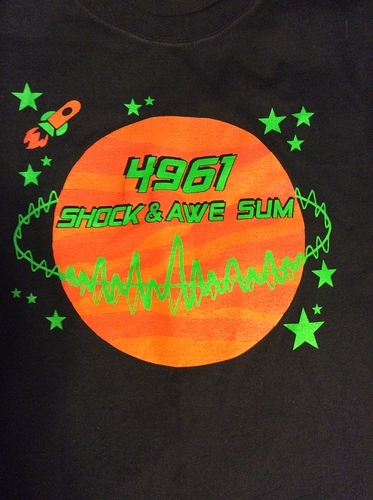 Have a bunch of 5943 Jerseys! DM me with offers or for pictures of the jersey! that I’m willing to trade!! Lmk if you’re interested and wanna make a trade at champs I’m mostly looking to trade for hoodies ! I will be coming to Detroit champs with these shirts. I don’t have a preference for any specific teams. I will be in Detroit with a bag of stuff. It will either be L or XL in size (including the stuff I should be trading). Please feel free to PM me. The link to my Spreadsheet that I have made is here. Open for any offers but would love a 610 or a 1678 shirt. I will be at Detroit with a bunch of shirts. OFFERING: Jerseys from MOE 365- I have blank 2018 Jerseys size small or medium 2017 Jerseys if you don’t mind there being a name on it. INTERESTED IN: Any size shirts from 16, 51, 111, 225, 1114, 1574, and 1640 (vest or hat). Will also take other offers if anyone’s interested in trading. I will be at Detroit Friday and Saturday. I will be wearing purple camo and carrying a Nikon camera. Want to trade, look me up. My sister (grade 8, age 13) is looking to trade t-shirts. This is her first time doing so. She has 2 size L 4946 (The Alpha Dogs) team t-shirts to offer. She doesn’t really care about team rarity, only team design and if she likes them (any offer is accepted!). If you could help me out with this and setting something up with/for her, that’d be great! She takes either a size M or L. If y’all could PM me with t-shirt photos/design to help her pick the shirts she would like, that’d be great! I will be at Detroit Champs on Thursday and Friday with team 496 shirts to trade, sizes L-XXL in various designs. I’m not looking for any specific team in return, but I would prefer if I could receive a XXL or XL shirt in return. Send me a message if you are interested!